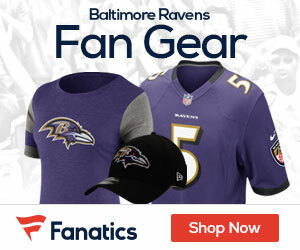 With the Washington Redskins trailing the Baltimore Ravens by eight late in regulation, Robert Griffin III sprained his right knee at the end of a 13-yard scramble. With Griffith unable to continue, fellow rookie Kirk Cousins stepped in and finished RG3’s work, hitting Pierre Garcon for an 11-yard touchdown pass with 29 seconds remaining and then running in the 2-point conversion. 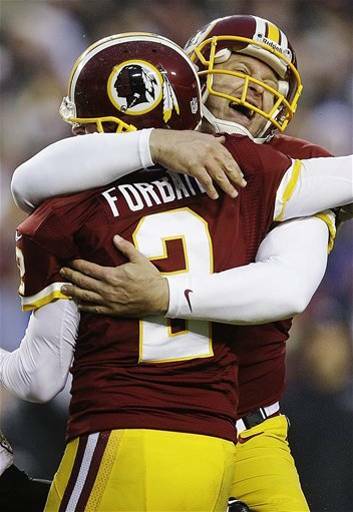 Yet another rookie, Richard Crawford, returned a punt 64 yards in overtime to set up Kai Forbath’s 34-yard field goal to give Washington a 31-28 victory. The Redskins (7-6) won their fourth straight game, putting more pressure on the New York Giants in the race for the NFC East title. NFL Odds had the Giants as the runaway favorites, but now it’s anyone’s guess who wins it. The Ravens (9-4) missed an opportunity to clinch an AFC playoff berth and ended a 15-game winning streak following a loss, dropping back-to-back games for the first time since 2009. Another major Redskins rookie contributor was Alfred Morris, who ran for 122 yards on 23 carries with a touchdown. Joe Flacco completed 16 of 21 passes for 182 yards for the Ravens, who took a 28-20 lead on Ray Rice’s 7-yard touchdown run with 4:47 to play. Rice finished with 121 yards on 20 carries, and third-round pick Bernard Pierce had a season-high 53 yards. Anquan Boldin, who passed the 10,000-yard receiving mark, caught two touchdown passes and set up a third with a 28-yard catch-and-tiptoe-run down the sideline. Baltimore missed out on another opportunity to claim the AFC North crown with losses by both the Steelers and Bengals today. Next week they play host to Peyton Manning and the Denver Broncos at M & T Bank Stadium.